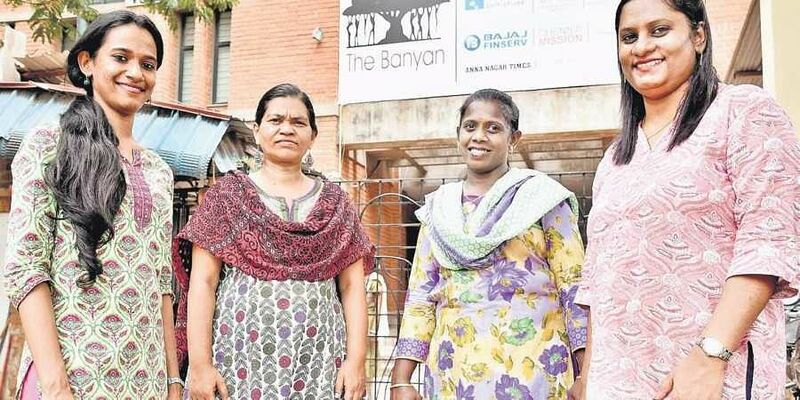 On the occasion of the 25th anniversary of The Banyan, an NGO that works with mentally ill and homeless women, three women share their success stories of rehabilitation. CHENNAI: When Porchelvi wandered off from her home in Virudhunagar a day before her wedding around seven years ago, her family members firmly believed it was to meet actor Vijay whom she wanted to marry, and eventually send the family’s reputation to its doom. While she did come to Chennai, to see Vijay, the reason she wandered off was more complex. Porchelvi was suffering from a mental illness during that time, something that her family still grapples to come to terms with. Today, however, she has turned her life around, serving as a healthcare worker at The Banyan, an NGO that works with mentally ill and homeless women, the very organisation took her in seven years ago, and treated her for mental illness. The organisation turns 25 this year, and have so far taken 1,924 women under its emergency care and recovery wing, out of which 1,428 have reunited with their families, said, organisers. For those whose families could not be traced, or refuse to take them, the organisation provides inclusive living options for a long-term stay. Porchelvi, however, has not been lucky enough to have a family that would welcome her back after rehabilitation. “My brothers still think I’m the reason my father suffered from a heart attack and died. They let me visit but they don’t allow me to stay with them,” said Porchelvi, she has now come to terms with it and wants to work on improving the tasks that she finds difficult, as part of her job role at the Banyan. “It’s not too difficult being a healthcare worker. I take care of around three women here, help them get dressed and I also help with cooking,” she said.“I’m doing well but there are some things I can get better at, like picking nits for the women I take care of,” she said. “A lot of homeless women, say that before getting here, they either had tea shop vendors for friends or dogs. Even today, a lot of rescue calls that we get are from tea shop vendors,” said Archana Padmakar, Assistant Director of the Banyan’s Emergency Care and Recovery Services and ‘Home Again’ projects. Helping these women ease into the new environment at the facility are six rescued dogs, who are taken care of by the residents here and sometimes, vice versa. Archana, a clinical psychologist, has been working for the organisation for six years now, having met and helped heal 200 women.“We are now a family. My one-and-a-half-year-old daughter, for instance, is extremely fond of Porchelvi who comes home once in a while to share a meal with us,” said Archana, showing pictures of the happy toddler and the happier Porchelvi on her mobile phone. Known to those at the Banyan as Jessie and to those outside it, as Janaki Dahl, she remembers being rescued by the Banyan from Thrissur in Kerala.“I was married briefly but my husband thought I was not fit to be his partner because I did not know how to cook or run a house; so, he left me,” she said. Having displayed symptoms of mental illness from the age of 16, Jessie began working at the organisation since last year, after undergoing treatment at the facility for several years. She has since completed a desktop management course at Bible college. “I now manage a retail store here at the facility,” she said. When Shwetha Abigail, then 21 years old, joined The Banyan, she’d wanted to help everyone, with the zeal of most 21-year-olds.“It took me around two years to realise that the issues are a lot more complex than what was taught theoretically to me in college,” she said. Now, after having worked for five years, she heads the urban ‘Home Again’ programme. A large part of her work involves interacting with the families of the residents after reintegration, following up with care and medication.“Many family members take the residents home on the condition that they would drop them back in case of any problems,” she said. As far as the cases that she has handled go, the acceptance rates of family members are much lower in urban areas.“Even in north India, where the stigma is much higher, the acceptance rates of rehabilitated patients into the families are much higher than the south. Especially, the urban south,” she said. Families in Chennai have kept her on her toes the most, needing unrelenting counselling before accepting their family members back.